May 16, 2013 / P.J. When I think of Terry Miller — aka The Disc Golf Guy — a few words come to mind that create a recipe for a well rounded individual and promoter of disc golf: collaboration, dedication, hardworking, professional and innovative. Some 20 years ago, Miller was introduced to the sport while at a summer camp. Using 50-class Frisbees and grocery baskets as targets, he competed in and won his first competition. 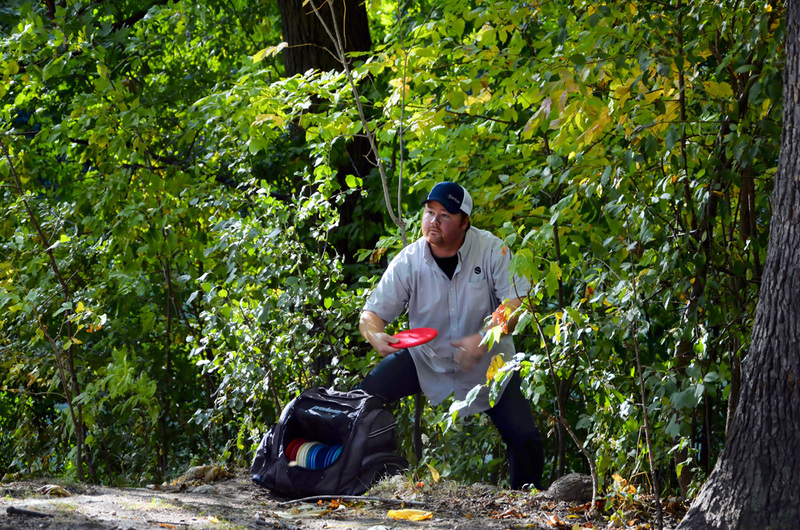 Later that summer, he played on his first “official” disc golf course, filled with baskets. That helped Miller get hooked on the game. Fast forward to 2013, where Miller has gained a reputation as a course designer, teacher, mentor, and professional player. He’s also been the director for many tournaments, including the 2007 Amateur Worlds in Milwaukee, Wisc., and a tournament for last year’s Women’s Global Event at the Grey Fox course in Silver Lake, Wisc. That Am Worlds tourney was the second time I ran into him. I’ll never forget watching him walking among the women’s groups and showing his support — something he’s continued to do throughout the years. For Miller, his method of running a smooth tournament has developed over the years to the point where he has it down to a science. Not only that, he’s able to prepare for a day when he’s competing in a tournament he’s also running. After setting everything up before a tournament — including player’s packs, hand warmers to give away for the colder days, caddy books, and scorecard board set up — Miller doesn’t get the usual preparation that other players do. Instead, he has accepted a different reality. At the end of the day, Miller’s motto for directing tournaments is simple, he said. “I like to put on efficient and well-run events which can cater to all skill levels on a variety of different courses,” Miller said. Beyond his usual duties, though, Miller is putting a stronger focus in 2013 on attracting more women to compete in his events. He said he was drawn to do this after seeing the stagnation in the number of women who participate over the years. Miller said he originally planned to let women play at that price for just PDGA ratings and a trophy. Miller also recently announced a collaboration with Mindy Robertson and the DOLL’s (Disc On! Ladies League) to direct a major women’s event in 2014. Is there a magic solution to increasing the women’s fields, whether it be in casual play, leagues, or tournaments? Perhaps it’ll just take some more time and exposure of the sport to the right groups, ages, and at the right time. For example, as an avid soccer player since the age of 4, including four years playing on the varsity team in high school, if I was introduced to disc golf with my then-100 percent dedication to soccer, I wouldn’t have been able to create the time to learn and play. However, discovering the sport going in to my freshman year of college, especially if there was a course nearby — now that timing would have been impeccable! Not a lot of colleges have courses on campus and that definitely isn’t a must, but there are more and more courses being installed every year, which increases the chances of the sport being accessible. Miller, to his credit, came out of the gate this year meeting with the right people to design and get some more courses in the ground for 2013. More exposure to the sport creates more opportunity for men, women, boys and girls to discover this great sport. Case in point: Miller’s YouTube channel. 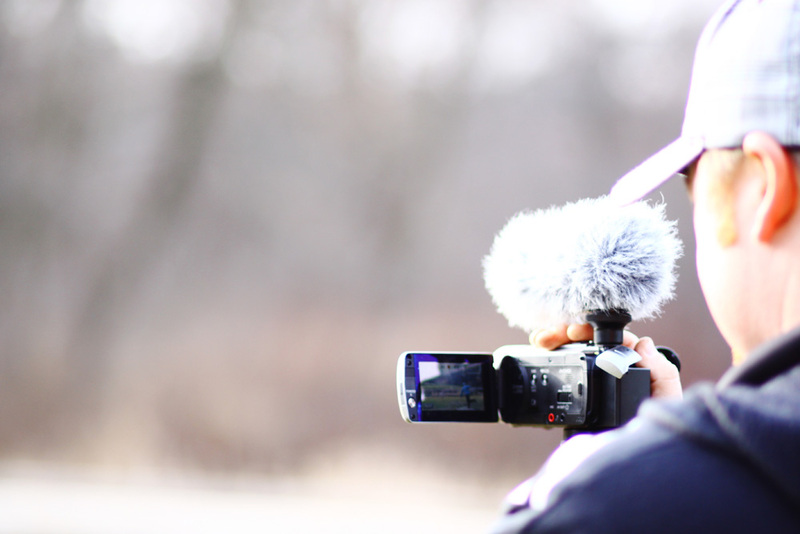 Between personal interviews with professional disc golfers and coverage of Major and A, B, C-tiered events, he’s covered it all. To date, Miller has 149 episodes and nearly 1,900 subscribers. He will be one worth keeping your eyes open for in 2013 and years to come as he continues to install courses, run tournaments, publish video blogs, and — last but not least — show his support for women in disc golf. Jenny Cook is a women’s Open-division player based in Illinois. She can be e-mailed at jenny@rattlingchains.com. You can see some of her disc golf photography at her website.